When I worked at The Hard Rock Café I would end my shift my a mug of hot milk, flavoured with Horlicks. During the week we worked until midnight at the earliest and some weekends we would be at work at breakfast time having pulled an all night shift. Horlicks is a malted drink, similar to Ovaltine. I found that a generous serving in milk would be all that I would need to get a good night’s sleep, even if that translated to napping from 6am till 9am. The strangest thing is that whenever I had surgery, the first thing I asked for after an anaesthetic, was a Horlicks milkshake. This had to come from The Doll’s House, the local roadhouse diner and was also provided by my friend Kim. Sadly, Horlicks is not sugar free and so for 20 years I have not enjoyed a mug of hot milk flavoured with Horlicks before bed time. The other day I had some time on my hands and so I read the ingredients of the Ovaltine tin – it is sugar free but extremely expensive. I did not want to spend a lot of money and end up having one spoonful and being disappointed in the taste. It was then that I decided to buy some barley malt syrup to try instead as the price suited my budget way better. I was not let down at all! It actually tastes better than Horlicks! And then I decided to take this one step further and add a spoonful of the barley malt syrup to my favourite hot chocolate drink, Nomu’s Skinny Hot Chocolate. This is now my new favourite bed time treat, with a dash of cinnamon added for the night’s I feel I need some help sleeping. This drink was the inspiration behind my malted chocolate tart. I promise you, it tastes just as good as it looks! What a very delectable looking tart,.’.it screams: eat a big slice, right now! I love malt flavor too – though I had it as a frozen treat as a kid in Canada. 🙂 This looks amazing! Oh, I have to try it in a frozen treat somehow! I just can’t say no to chocolate. This tart looks so delicious! So rich and decadent! This tart looks terrific! It’s so dark and chocolaty. Goodness.. chocolate tart? You are making me weak in the knees! Delicious! What a scrumptious tart Tandy. Pete and I were in Cape Town day before yesterday but sadly could not stay longer. We had a meeting in Gordons Bay en route back to Plett for the night.I would love to have met up for a cuppa. Maybe we can visit soon again. I hope you enjoyed your visit to my home town! Maybe next time you can pop in? I used to love horlicks! 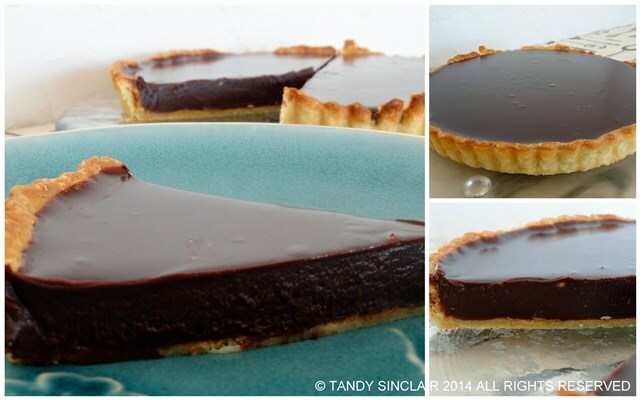 I make a similar chocolate tart but this one sounds so good I am going to try this next time. I hope you enjoy it Anna! This looks and sounds divine – roll on an occasion that I can make it for. Love malted milk, have not had it in years. Very clever to add to this tart Tandy. Bet it is delicious! I think I’d like this as I love Horlicks. Think there’s a sugar free version in the UK now…will check it out! Oh, I did not even look when we where there! This tart looks divine. I can’t imagine how it tastes!!! I love the malted aspect, very creative. It is nice that you were able to find a good substitute for a flavor you enjoy. Your tart looks great. Melted chocolate…so good! Great tart. Wow Tandy, I could sink my teeth into a slice of your tart right now! How decadent!